At the end of the day, you must come up with an an optimal solution that meets all your functional requirements while being cost-effective. Needless to say, there will be other non-negotiable budgetary heads — for example, transportation of personnel, their wages, etc. However, these have to be incurred irrespective of the technology used for data collection. Smartphones undoubtedly improve the quality of data collected. However, they may affect the data collection process in different ways. For example, smartphones increase the security of the data collected because they allow for encryption of data during storage and transmission. However, putting relatively expensive smartphones in the hands of field surveyors might make them prone to attacks in areas with high criminal activity. If the device doesn’t perform in the field, then you’ll have to spend way more than the amount you intended to save. Make sure that the device you’re using has adequate RAM. It should allow the app to process questionnaires of any length or complexity. Secondly, the device should have adequate storage. In cases where data collection is taking place in remote rural areas, with limited or patchy network connectivity, the responses are typically stored locally on the device. They are synced with the central server when connectivity is restored. To ensure seamless data collection, the device should have enough memory to store local data until you can access an internet connection. Finally, the device should have adequate battery backup to allow data collection throughout the day. Ideally you should test this yourself, rather than relying on phone specifications. You could rely on independent reviews on the internet to pick between devices available in the market. Ultimately, the decision of investing in smartphones will depend on how long you use them. Investment on mobile devices would yield better returns if they are used repeatedly over the long term. One-time data collection with a small number of respondents might not prove to be as cost-effective with smartphones. Every personnel involved with data collection and decision-making will need some training to equip them with the knowledge and skills required to operate the technology. Field surveyors will need to learn how to use the data collection app. Some of them may be first-time smartphone users, and might need training on how to use a smartphone. People higher up in the hierarchy will also need training in how to interact with the platform to build questionnaires, assign teams, monitor data being collected, flag incorrect or incomplete entries, etc. Data partners that provide the app and platform for data collection usually provide some or all of these training sessions. Depending on the number of people that need training, the training costs will vary accordingly. As a program manager, you might have to provide some logistical support, like finding a suitable venue, arranging for a projector and screen, ensuring availability of internet to download the app, etc. 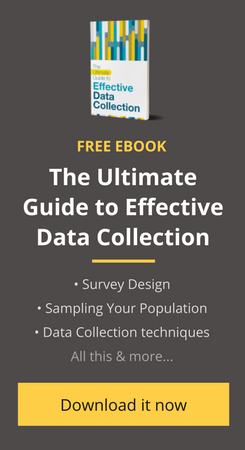 Do you need to collect data from 200 respondents or 20,000? How many questions do you need to answer? Do you need to fill out multiple questionnaires for different purposes? How often do you need to collect this data? Can the data partner meet the needs of your scale, scope, and frequency? Does their price structure offer the best value proposition for you? Are you a large donor organization with in-house data analysts? Are you a smaller organization with limited data analysis capacity? Does the data partner process data and give you insights you can use? Ensure that the data partner meets all your data collection and processing needs so you get the insights you’re seeking. Where does the data flow once it’s collected? On whose server is the data hosted? Who has rights over the data? Remember to ask questions about who will have access to the data, and who owns the data. This is especially important if the data collected is confidential or sensitive in nature. In any case, you want to have control over how your data is used. Unless everyone involved in the data collection exercise — your field surveyors, technology partners, funding or donor organization, implementation or volunteer partners — is comfortable with the entire process, the exercise will not yield the desired results. Hence, it is important that you choose a data partner that understand the importance and implications of working with different stakeholders. Explore more concepts, tips and tools to collect data efficiently in our free online course — Planning For Data Collection. Sign up now!